Firstly, the use of cessation medication approved for this purpose increases the chances of quitting by more than twice. Second, the effects of medication for cessation are increased when coupled with behavioral intervention. Smoking more than a single pack a day. Smoking within just 5 minutes of waking up. For more serious smokers, the dependence can be severe. Regarding meta-analysis of research trials, assessing when cessation was effective, it was found when medical professionals provided advice associated with there was a cessation, increased likelihood of quitting as opposed to no advice, with an odds ratio of 1.7. Complex and long drawn out advice led to higher quit rates than those associated with minimal advice, with odds ratio at 1.4. Physicians are also in a position to identify tobacco users and enable patients to quit and routinely ask patients regarding tobacco use, strongly advising tobacco users to quit. Additionally, it helped when the readiness of smokers to quit and assist patients with quitting as well as arrange counseling post the follow-up. 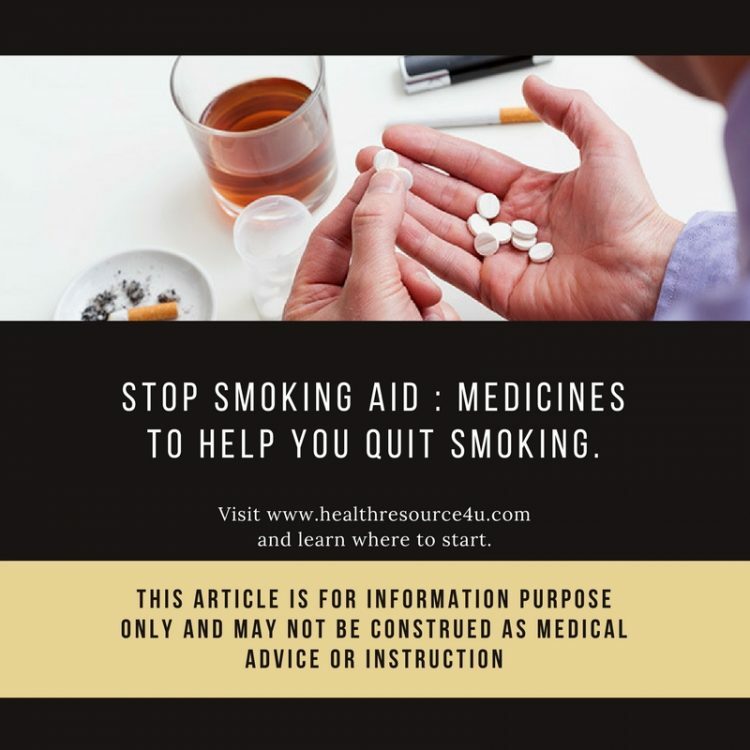 A US Public Health Service Guideline for Clinical Practice indicates when it is possible and there are no medical contraindications, tobacco cessation interventions should include one FDA approved pharmaceutical aid along with counseling for tobacco dependence. Here are the anti-smoking aids or smoking cessation medications that can be used. Five agents have been approved by the Food and Drug Administration for the cessation of smoking. There are 4 nicotine replacement preparations namely nicotine nasal spray, inhaler, patches, and gum. Additionally, there is sustained-release bupropion hydrochloride too. First line medication includes NRT or Nicotine Replacement Therapy. Additionally NRT therapy promotes quitting through reduction of withdrawal symptoms of nicotine. This permits patients to focus on the psychological and behavioral aspects of smoking. Along with this, the onset of NRT action is not as quick as nicotine obtained through smoking. Additionally, NRT should be tried with care along with patients with underlying cardiac arrhythmia. Additionally, there is serious or steadily advancing angina pectoris pain and those with recent myocardial infarction. 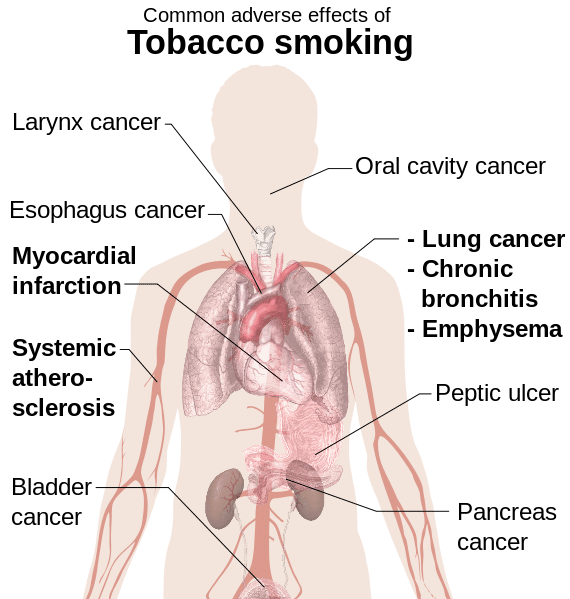 This is on account of nicotine causing adverse cardiovascular impact by raising the myocardial strain through rising blood pressure and heart rate. Nicotine constricts coronary arteries, causing problems like cardiac ischemia. The risk of NRT for clients with cardiovascular conditions are lower as against risk of persistent smoking. As per the FDA, nicotine is a substance that can harm the human fetus. Consequently, none of these NRT formulations have been FDA approved for usage in pregnancy. While NRT may create a risk for the growing fetus, it is lower than the risk of persistent smoking. NRT is only reserved for women who cannot quit using nonmedicinal means. Doses need to be at the lower end of the range and formulations yielding intermittent rather than persistent drug exposure are responsible. Nasal spray, inhaler, and gum are some of the options. Medicines can lead to smoking cessation if used correctly. NRT contains decreasing increments of nicotine to lower chances of a headache and irritability as one quits smoking. Non-nicotine prescription medications can also reduce the severity of nicotine medication. Using NRT in combination with non-nicotine drugs may work for you too. Study how to take the medicines best under medical supervision and consult your doctor or nurse before opting for smoking cessation. Nicotine replacement medications are a good form of therapy, but under no conditions must nicotine be paired with a cigarette. Smoking must cease when you use nicotine replacement therapy. NRT lasts from 2-3 months. Though one can buy many products without a prescription, check with the doctor about which medicine works best for you. Nicotine polacrilex gum is available without a prescription. It refers to a resin complex of nicotine and polacrilin in a chewing gum base which is sugar-free. Buffering agents like sodium bicarbonate and sodium carbonate raise saliva pH value, enhancing nicotine absorption across the buccal mucosa. Patients need to use gums on a schedule that is fixed rather than controlling cravings. This product tends to stick to dental work and is not suited for patients, who have dental implants, braces, bridges, and dentures or even dental restorations. Nicotine gum enhances the cessation of smoking by 50 percent as opposed to interventions that are controlled. This is ideal for those who want something to chew on as they quit smoking. Studying boredom as a factor influencing smoking points the way to the effectively quitting this habit. A nicotine patch that is trans-dermal is available sans or with prescription both. It works through concentration linked, continuous low-level nicotine delivery across the skin. There are 4 formulations currently available and dosing is associated with cigarettes smoked in a day. The sixteen and 24-hour patches demonstrate a lot of efficiencies. But there can also be sleep disturbances arising out of patch related use. This includes vivid, abnormal dreams or lack of sleep. So, for these patients, the 16-hour patch may be a better one. Patients with stronger cravings at dawn may benefit from a 24-hour patch. Those who have substantial withdrawal, cravings or symptoms should consider a dose that is higher. Those with adverse effects such as dizziness, nausea, perspiration, vomiting, headache, diarrhea and ab pain. Reactions to adhesives associated with the patch are common leading up to 50% and can be treated with 1% hydrocortisone cream or oil histamines. Adhesives vary across products and those with allergies and skin reactions can switch brands. Those with dermatological medical conditions like eczema, atopic dermatitis and psoriasis can suffer from skin irritation and other nicotine replacement therapy formulations. Using the nicotine patch, cessation rates in patients is 1.9 times more than that seen in patients with placebo. Trans-dermal formulas are only dosed once a day, making it ideal for low compliance cases. A prescription is not needed to buy a nicotine patch. The patches may come in different strengths ranging across 5, 10, 15, 7, 14 and 21 mg strength. The strength you need to use should be assessed depending on the amount smoked. Tapering down the patches on the recommended schedule is needed. The patch can be placed on the chest or the arm. You need to put on a patch between sixteen and twenty-four hours. If there is trouble sleeping or one has disturbing dreams, the patch should be removed when one goes to sleep and a new one should be used on getting up at dawn. Side effects include soreness and redness under the patch. For lowering side effects, the location of the patch should be changed each day. This spray is an aqueous solution for nasal delivery. There is around 0.5 mg bolus of nicotine delivered through each actuation absorbed super fast in less than 10 minutes across the nasal mucosa. At the start, many patients have throat and nose irritation such as peppery sensation, watering in the eyes, coughing and sneezing. With the rise of regular use, tolerance gradually develops and post the first week, the ability to bear the sprays increases. The spray is not suited for those with chronic nasal disorders such as sinusitis, rhinitis, and polyps or patients facing severe reactive disease of the airways on account of the irritant effects of the spray. Drug absorption can be reduced in those who have rhinitis or a cold. Cessation rates linked with nicotine nasal spray range across 1.8 to 4.1 times more than in controls. On account of rapid action onset, the spray is suited for those who prefer medication for managing withdrawal symptoms. Nicotine inhalation comprises a plastic mouthpiece and unit dose cartridge delivering around 4 mg of inhaled nicotine with a mild menthol taste from a plug which is porous. Post the inhalation, vaporization of nicotine takes place and it is absorbed through the medium of the oropharyngeal mucosa. Nicotine inhalers are not like oral inhalers used for curing pulmonary medical conditions. The drug does not get inhaled deeply in the lungs because there is a rising incidence of adverse effects and increase in nicotine delivery. There may also be mild irritation of the mouth or throat, rhinitis, cough or aggravated effects which decrease with the product use much like smoking. Nicotine gums are not the only OTC therapy available. One can buy gums or lozenges in a drug store without a prescription. Instructions can be read and these lozenges can serve as the perfect means of quitting. Not more than twenty pieces per day are allowed if one uses a 4 mg gum or lozenge or 30 pieces per day if you use a 2 mg gum or lozenge. The number of pieces employed decrease across time. Another important consideration is that coffee, cola juice or alcohol or orange juice just 15 minutes before using lozenges. These drinks can make nicotine replacement less easy to handle. Side effects like throat and mouth discomfort can result if lozenges are not used correctly. Lozenges can only be used for three months. In the late 90s, sustained-release bupropion was approved as the leading non-NRT medication for cessation of smoking. This product was earlier categorized as an antidepressant is known for its ability to block the reuptake of neurotransmitters norepinephrine and dopamine. This further prevents nicotine cravings and withdrawal. This therapy needs to be started a couple of weeks before the date for quitting, starting with 150mg per day for 2 days. This increases to 150 mg twice in a day. Mediation commences prior to quitting date, as therapeutic levels are reached post 7 days of therapy. Adverse factors associated with bupropion therapy include dry mouth and insomnia. These lessen with persistent use. Additionally, the second dose in early evening 8 hours post the first dose can prevent insomnia. Less common effects of this non-nicotine medicine include rash and tremors. As seizures are possible in 1 of 1000 patients looking to quit smoking, bupropion is not allowed in those with a history of seizures or problems like anorexia and bulimia or central nervous system tumors and constant use of medications to lower the threshold of seizures. As the seizures are pertaining to doses, the dosage needs to be spaced 8 hours apart and total dose daily should not increase 300 mg. Research indicates that this drug can be used along with NRT effectively. Pregnancy category B is its classification and use should be considered only when nonmedical methods are not working. Additionally, quitting rates in patients opting for this medicine is 2.1 times more than patients who had a placebo. The benefits of bupropion include oral formulation with a twice a day dosing, no chance of nicotine toxicity and in case the patient persists in smoking, it can be used along with NRT and benefits those with co-morbid conditions like depression. Though many of these medicines are not FDA approved for smoking cessation, they can be used as second-line agents. This includes prescription medicines like clonidine hydrochloride and nortriptyline hydrochloride. Clonidine is a centrally acting α2 drug which means it acts as an agonist antihypertensive and doubles cessation or quitting rates. Initially, doses recommended include 0.1 mg orally two times a day or 0.1 mg per day patch applied on a weekly basis. Efficient doses range around 0.15 to 0.75 mg every day for twelve weeks orally. Around 0.1 to 0.2 mg is taken through the transdermal route for three to ten weeks. The quitting probability increases by three times with the action of the tricyclic antidepressant agent, as against a placebo. The recommended starting dose is 25 mg at bedtime, increasing to the target dose of 75-100 mg every day for 12 weeks. The absence of FDA approval for smoking cessation as well as undesirable side effects is the reason why this is the second line of attack. Most clinical trials use a single agent, while some investigators report enhanced cessation rates when bodies are used in combination. Evidence indicates that persistent and concurrent use of two NRT forms is beneficial. This is because just as the first one provides steady nicotine levels in the body and the second form is needed to control cravings, suppressing nicotine withdrawal and increasing the chances of quitting, as compared to single therapies. Use of dual NRT is recommended in case patients who cannot use monotherapy quit due to the inherent risk of an overdose of nicotine. The use of bupropion in conjunction with the patch was associated with better outcomes than the bupropion alone. Some research also suggests that higher doses of NRT will be effective for heavy smokers. Tobacco use is the prime cause of morbidity and mortality in the US. Close to 430,000 deaths result from smoking annually. On account of the fact that tobacco based diseases are preventable, if smoking is stopped using first-line medication, cessation can be initiated for the long term. Selecting the line of attack to counter smoking should be tailored to every patient. 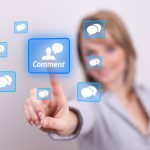 Factors to consider include medication compliance issues, patent preference. previous cessation agent experiences and patient characteristics. This includes factors like contraindications, depression and medical history and extent of smoking. Pharmacological therapy needs to be accompanied by behavioral counseling to enhance rates for long-term cessation. Most smoking cessation medications come with generic as well as trade names. The aim is to be clear about what you are taking. Do remember that your doctor and pharmacist are your best sources of information. Discuss the drugs with your medical practitioner and understand desired effects as well as side effects. Don’t stop or change the frequency of medication without a medical consultation. Both of these medications work with similar mechanisms. 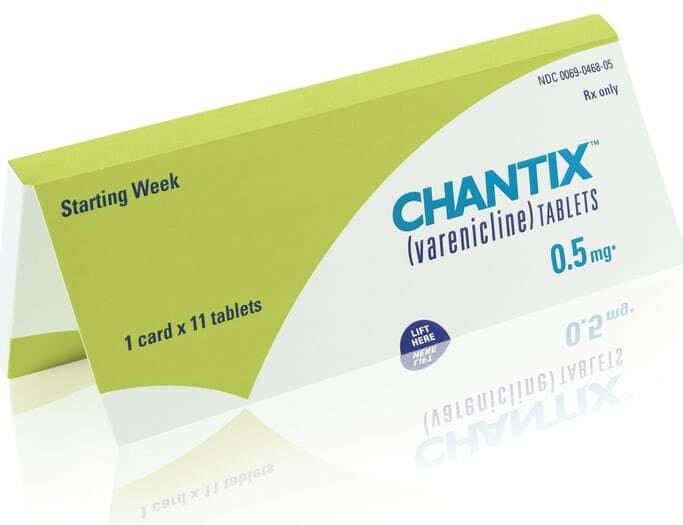 However, Varenicline is a new medicine for helping smokers to quit under the brand name Chantix. These medicines work by blocking the flow of neurotransmitters in the brain that spur smoking addiction. Each of these medicines comes in pill form. You need to start with low doses and gradually raise the dosage. It takes close to a week for medicines to function effectively, so you need to start taking these before chalking up the date to quit. Each of these medications interacts differently with other medicines, so it becomes essential for the doctor and pharmacist to have a complete medication list including herbs, supplements, OTC and prescription drugs. One needs to use non-nicotine prescription medication for 7-12 weeks or more, as per the recommendations of the doctor. When a non-nicotine prescription medication is stopped, the need is to taper it off gradually and take incrementally smaller doses before stopping completely. As per the US FDA, the use of these medicines can have side effects like agitation and depression. Healthcare professionals are required to treat these side effects. If you experience a serious and unusual mood or behavioral changes, while using these drugs, you need to consult your medical practitioner right away and stop taking the drug. For loved ones or friends of people taking this medicine to quit smoking, signs the patient is becoming an agitated or negatively impacted point to the direct need for healthcare professionals to step in. Comprehensive tobacco control and prevention programs in many parts of the world, including the US, are not enough. 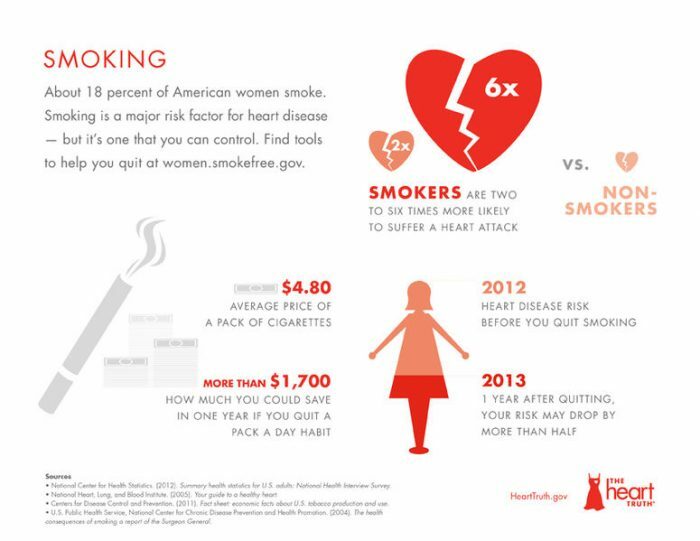 The American Heart Association advocates increased funding for effective, accessible tobacco and smoking cessation. Close to 25% of tobacco smokers will die because of their addiction unless treatment is initiated. Chantix essentially helps with stopping cravings for nicotine as well as stemming the withdrawal symptoms. It functions in the brain to reduce the impact of nicotine. Even if one smokes again post quitting, one will not receive any pleasure from it. To take these medicines, you need to start 1 week before the plan to quit cigarettes. This will last for 12-24 weeks. It needs to be taken after meals with a complete glass of water. Additionally, the provider informs how the medicine can be taken. Most patients take .5 mg pills once in a day to start with. By the close of the second week, a 1 mg pill may be taken twice in a day. This drug should not be combined with nicotine patches, sprays, lozenges or gums. Additionally, those aged below 18 should not take this drug. Side effects are rare, but they can occur. These can include headaches, difficulty sleeping, skin rashes, excessive sleepiness, and strange dreams. Additionally, there may be GI side effects such as constipation, nausea, intestinal gas and changes in flavor. If you have depression, agitation or fear, seizures you need to call the doctor. This prescription medicine blocks those areas in the brain which lead to a high. You need to take this pill post a prescription. This is a prescription medicine developed to prevent people from smoking. It interferes with nicotine brain receptors, exerting two critical effects. The first is that it lessens the pleasure a person gets from cigarettes. The second is that it cuts down on withdrawal symptoms when the nicotine is stopped. This is also known as Zyban or Wellbutrin SR. This pill fends off cravings and withdrawal symptoms. This medicine is also not addictive and must be taken one week prior to quitting smoking. This pill prescribed by the doctor It is also used for curing depression. This helps in smoking cessation, even if depression is not a reported symptom. However, this prescription drug should not be used for those under eighteen years of age, pregnant women, or those facing medical problems like a seizure, eating disorders, heavy alcohol use, kidney problems, head injuries or bipolar or manic-depressive patients. Bupropion needs to be taken one week before smoking is stopped. The goal is to take this medicine for 7-12 weeks. It is essential to talk with the doctor before taking it on for longer time periods. A common dose is a single 150-mg tablet once or twice a day with a span of eight hours between each dose The pill needs to be swallowed whole. Chewing, splitting or crushing it will not work well and may even lead to seizures. If the patient still needs help when quitting, bupropion can be successfully taken along with a nicotine patch, lozenges or gums. Side effects of this medicine may range from difficulty in sleeping to depression, anger or agitation and you need to watch out for these. Other side effects include stuffy nose, dry mouth, nightmares, and insomnia. Other side effects can include constipation, nausea, headaches, high blood pressure, and seizures. Bupropion also results in drug interactions and should not be used with supplements or other drugs. The provider should know about the drug or supplement interactions, vitamins, herbs, supplements and other medicines to be taken when one requires them such as aspirin or Tylenol. Be clear to tell the provider bupropion is being taken. Bupropion is a medication that does not contain nicotine. For some people seeking to quit smoking, this is the ideal medication. Other medications can help when this treatment does not work. Benefits are considered less beneficial because these drugs are the second line of treatment. This medication is normally used to treat blood pressure. It may also be used for smoking cessation before one quits. This drug comes in the form of a patch or a pill. This is an older medication which has been used to help people to quit. It has received FDA approval for treating high blood pressure. When quitting smoking, this medicine can be taken as a pill twice per day or a skin patch once a week. Your doctor needs to know about any side effects you may be experiencing such as constipation, drowsiness, dizziness, dry mouth, fatigue, and unusual tiredness. Other serious side effects may include a fall or rise in blood pressure, allergies, and slow heart rates. This drug can affect the ability to drive or operate machinery. Clonidine needs to be taken up to 3 days before smoking, but it can also be started the day one quits. This should not be suddenly stopped. The dose must be gradually lowered over a few days to prevent an increase in blood pressure, tremors, confusion, and agitation. This is another antidepressant. It can be started 10-28 days prior to quitting. 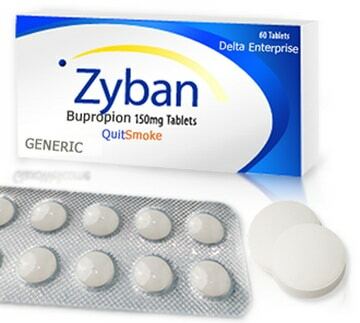 An older anti-depressant medication, it reduces tobacco withdrawal symptoms. It increases chances of success in quitting smoking when compared to those who take no medication whatsoever. This antidepressant can have side effects like a racing heart, blurring of the vision, problems in urine discharge, dryness of the mouth, GI disturbances and constipation, weight loss or gain and low blood pressure while standing up. This medicine can impact the capacity for operating or driving machinery and specific drugs must not be prescribed alongside. If it is decided to use this drug, your provider and pharmacist know what other drugs are being taken before the medicine starts. You also need to be sure how to take it and taper off when ready to stop. Nortriptyline should be slowly lowered as the drug cannot be suddenly stopped without side effects. Those with heart disease need to use this drug carefully and only under medical supervision. 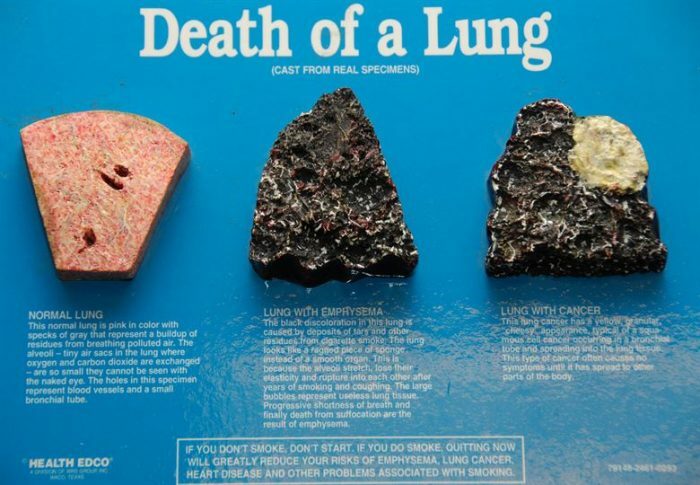 Other drugs apart from these are also being used to help smokers to quit. A drug known as cytisine shows value and is being studied in the US. Naltrexone is yet another drug which is used to help people combat substance abuse and addiction. 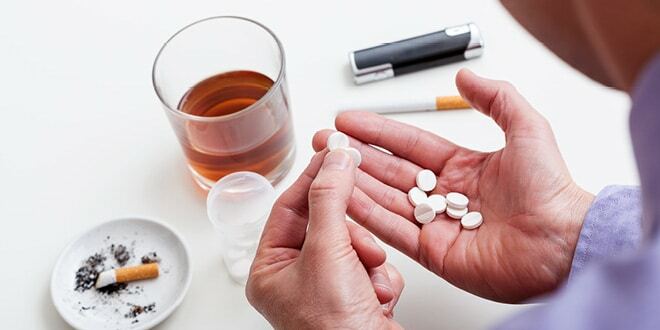 Combining it with varenicline may be possible, especially for smokers who are heavy drinkers. Also, possible anti-smoking vaccines are being tested and injected. While there are many options to be safe, larger studies need to be carried out so people can be sure this remedy works, before it receives FDA approval. Medications can double the chances of quitting for good. In fact, certain insurance plans even cover quit smoking medicines. Checking the insurance plan is essential to ascertain if one is eligible for coverage. This can help with withdrawal and reduce the chances of smoking. Additionally, combination therapy for smoking cessation means the person can take more than a single medicine at the same time to raise chances of quitting permanently. Combination treatments like nicotine gum and patch can also prove beneficial. Combination therapy may be tried if one is experiencing symptoms of withdrawal while using a type of smoking cessation medication. Additionally, one may not have been able to successfully quit using only a single method. Using FDA licensed medication doubles chances of quitting easily. Using medicines with coaching and therapeutic support makes it three times easier to quit. The different types of drugs include nicotine agonists, atypical antidepressants like Zyban and Chantix and local solutions like nicotine patches. Finding a combination that works best for you is important. 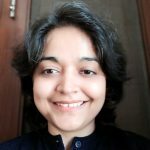 Thank you janhvi for this article because I am also a smoker and it addiction to me. but after reading your article atleast I’m thinking about myself and health and those people who are not smoker but they are affected by it.